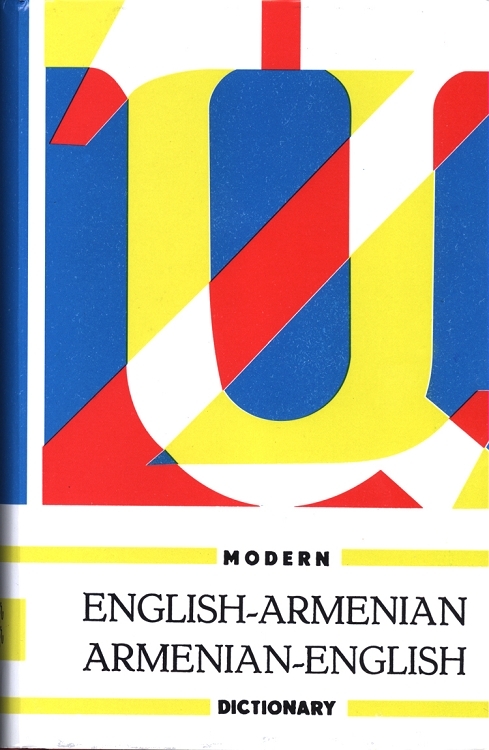 Koushakdjian and Khantrouni’s Modern English-Armenian/Armenian-English Dictionary is a comprehensive Western Armenian reference book with over 40,000 entries on a wide variety of subjects. Each English entry is accompanied by a transliteration and two to four possible equivalents of the word in Armenian. Each Armenian entry is accompanied by two to five possible equivalents for the word in English. The dictionary also includes a reference list of other Armenian language resources to consult.